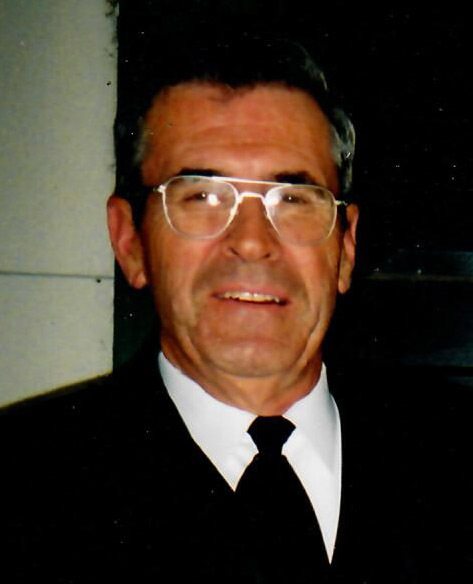 Our beloved Husband, Father and Grandfather, Larry Lee Keen, 83, passed away Sunday, April 8, 2018, due to causes incident to Lung Cancer. He passed away peacefully in what he lovingly referred to as his “bachelor pad” at Fairfield Village of Layton. Dad was born on May 17, 1934 to Leland Lee and Mildred Knudson Keen, in Le Grand Iowa. He spent his younger years developing his incredible character and work ethic by his Father's side working the 500-acre family farm. In 1954 Larry made the decision to serve his country and enlisted in the United States Air Force. He was first assigned to Denver, Colorado, where he met the love of his life, Betty Louise Lesser Keen. They were married on March 6, 1954, in Shreveport, LA. They had two children, Ronald Lee and Cathy Renee. They have 5 grandchildren and 6 great-grandchildren. They traveled the world together and spent the next 50 years by each other’s side until Betty's death in 2004. Dad was a natural born leader and excelled at his career. He achieved the prestigious rank of Chief Master Sergeant at a very young age. His passion for aircraft, attention to detail, dedication to “do things right the first time” and skillful leadership earned he and his team a highly sought after victory at both the 1959 and 1969 Strategic Air Command Bomb Competition. Dad retired from the Air Force in 1979 and went on to earn his Bachelor of Science degree in Electrical Engineering from Weber State College. He then spent another 10 years in the workforce before retiring a second time from TRW. At the age of 71, Dad fulfilled his lifelong dream of becoming a pilot. He absolutely treasured his time spent at the Ogden Hinkley Airport with his buddies, “tinkering” on airplanes, flying around the area and sharing military stories. Dad was one of only 1800 pilots in the United States over the age of 80 to still carry a flying license until his last flight in the cockpit of his Cessna 172 on September 16, 2015. He is survived by his sister Kay (Tom) Ach of Federal Way, WA; his son Ronald L. (Susan) Keen of Clayton, IN; his daughter Cathy R Keen of Layton, UT; five grandchildren: Cristina (Jon) McCaffe of Cheyenne WY; Jordon L (Haley) of Indianapolis, IN; Brian (Miriah) Indianapolis, IN; Kaitlyn H. Boyll and Jessica E Keen, both of Clayton, IN; and 7 great-grandchildren; Alora Dannon Beshears, Celeste Nicole Beshears, Eva Rose McAffe and Josephina “Bean” McAffe of Cheyenne WY; Trevia Keen, Adrielle Keen and Liam Keen of Indianapolis, IN; also “One on his or her way...due September 11,2018” Keen, Indianapolis, IN. He was preceded by his parents and his soul mate, Betty. The family would like to extend their sincere gratitude to the wonderful staff of Fairfield Village of Layton and Encompass Home Health and Hospice for their loving treatment of him over the past 2 years. Funeral services will be held Saturday, April 14, 2018 at 2 p.m. at the Mountain Road Church, 796 S. Mountain Road, Fruit Heights, Utah. Friends may visit family Friday from 6 to 8 p.m. at Lindquist's Layton Mortuary, 1867 N. Fairfield Rd, Layton and Saturday from 12:30 to 1:30 p.m. at the church. Interment will take place at Loveland Burial Park, Loveland Colorado; on April 21, 2018 with the ceremony beginning at 11 a.m.